When I write my blogs, I always include by Moshe Katz, Krav Maga instructor, Israel. 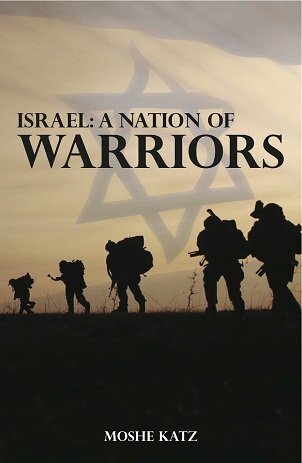 I feel proud to include the words "Krav Maga" and "Israel". To me both symbolize the concept of never giving up, no matter the odds. In Israel we are surrounded on all sides except one. On one side we have the sea, thus the saying of our neighbors, "We shall push the Jews into the sea". They know we have no place to go. And we know it too! That is our strength, we know we have no place to go. When I write "Israel" I feel proud. We are the people who succeed despite the odds being stacked against us. We have a thousand jokes about this, we have no natural resources, only our brains. We have made the desert bloom, without natural sources of water. We have practically invented the high tech industry (You would be amazed at how many products you use daily that were initially developed here in Israel). We succeed where success is not possible. To me the words "Krav Maga" mean the same thing; it is David against Goliath, it is the Jews of the Warsaw Ghetto against the Nazi Wehrmacht, it is the small and weak against the big and strong, the pure against the impure. It is our way of life. I read a great deal about the Dark Years, (the Shoah, World War Two, the "Holocaust"), I read about all the Jews, Gypsies, political misfits, homosexuals handicapped and retarded people who were murdered. I cannot help but in each situation imagine what I would have done. This is how I have grown up, living with the past. Of course this is all unfair. I have knowledge that they did not have. They did not know the future, their horrible fate. But I have grown up with an attitude of thinking of options, how to survive. There were those who kept saying, while in hiding, "We will never make it, we will not live to see the day of liberation". And they were right. Some did survive, some never gave up hope. Far be it of me to judge anyone under those unspeakable conditions. I am only praising the attitude of survival. We have a family member who is going through a challenging time in terms of work. Some say, "There are simply no jobs available, no one is working!" Again, I do not live in that location, I cannot judge, I do not know all the details and I do not know all the challenges, but I do know something. I know that my dad was 54 years old and found himself out of work. No one would hire him, no one wanted a 54 year old man for an entry level position. He had worked as a rabbi most of his life, but due to his strong political convictions he lost his job. He had committed the "sin" of inviting some right wing Conservative leaders to the synagogue and this upset some of the powerful Liberals. I recall the day Governor Ronald Reagan came to our synagogue. He put on a white yarmulke and said, "I like this, in my previous job the good guys always wore the white hats." He was eventually elected president. People never forgave my father. I recall Reagan's warm and friendly handshake. My father found a job, in the financial field, in sales. "Why should we hire a man your age when young guys half your age are lining up for jobs?" "Because" he said, "I have four teenage boys who must eat. I am more motivated than any 25 year old applying for this position. I will succeed". That same attitude; I will succeed because I have no other option. He succeeded, he become one of the top salesmen in his entire company. Today my mother lives on what he made in those last few years of his working career. My father had a winning attitude, you cannot keep a good man down. Perhaps there are no jobs but somehow we must keep searching for opportunities. I cannot judge, I can only express an attitude, a hope. Never give up. I have cleaned toilets, washed dishes, removed rubble from houses, cleaned schools, and I have advanced university degrees. I too could not stick with one job for too long, so now I work for myself, in something which I believe in and make a difference. No one will hire me either. So I took whatever work I could find and developed my own business on the side. And then, when it was possible, I quit all my other jobs. I recall one job, in construction. Someone came in and saw me, a religious Jew working hand in hand with two Bedouin Muslims, a team, and said, "What a beautiful sight, true peace". To us it was just three guys trying to make a living. There are no jobs? So create one. I cannot judge anyone's particular circumstances, I cannot and will not pass judgment upon anyone. As the Talmud says, "Do not judge your friend until you stand in his place". And are two people ever in the exact same place? I do not judge, but I do attempt to inspire. When I hear, "I cannot win", "There are no jobs", "There is no chance of survival". I feel there is nothing more I can do. When at a Krav Maga seminar a participant will ask, or rather, state! "I am a very short petite female, I have no chance of defending myself against a man, what can you say to that!" My answer, "Nothing. There is nothing I can say. You are correct, you have chosen to be a victim and there is nothing I can do to change this. If you change your attitude then I can teach you to defend yourself". I do not believe that the attitude of defeat, of helplessness, is natural to the human being. I think we, and society, train us to believe in our own defeat. It is "Trained Defeat". We have trained ourselves to have an attitude of defeat. And this is so sad. Everyday on Facebook I see dozens of inspirational quotes (as well as massive doses of stupidity), I see that people are truly trying to pick themselves up and move forward, this is the way. In Israel we have very little water, so we developed green houses and we export our products to the entire world. We developed a drip system that is now used all over the globe. We were deprived of weapons so we created the Israeli military Industries and now we export weapons. (Come to Israel and shoot the Tavor, Israeli innovation). We were beaten by the entire world and now we train the world in combatives and self-defense. Amazing to see the Israeli army training the Polish army. Long Beach, California, USA. Moshe training unit United States infantry. Assisted by IKI Instructor Mario Schiopu (Canada). Thank you to Nick Israel. The first concept I attempt to teach is attitude. It is your attitude that matters most; more than your technique, more than your natural ability or talent, more than your circumstances. Where one man sees a locked door, another sees an opening. Where one man sees a problem, another sees an opportunity. We all have a great natural resource, our soul. Dig deep inside yourself and find that heavenly spark of inspiration that says, I am special, I am unique and I have something wonderful to offer the world, something they have all been waiting for. How do we survive and succeed? How did we create such a great success in so few years? Come to Israel, join us for 10 -12 days and experience our way of life and Krav Maga. Immerse yourself in Krav Maga training and Israeli culture.